Advances in drone technology have revolutionized the roofing industry. Drone roof inspections are changing the game, allowing companies to increase both the quantity and quality of their work without adding headcount, hassle, or risk. However, not all companies will be able to reap all the benefits of a drone platform. But who will? And how do I know if drones are right for my roofing business? Here’s a breakdown of common traits among roofing companies that get substantial ROI from a drone platform. Simply put, the more knowledge and experience you have, the more capable you are of recognizing value and making an informed decision. If a roofing company has tested and tried drone platforms, that company has a better understanding of the potential and value of those platforms and what it will take to use them. Ideally, they have considered affordability, tech support, artificial intelligence, and other key components of quality drone solutions. A roofing company that conducts research and has tried drones is certainly more prepared to employ them in their everyday work. Sales people are usually indicators of the size and sophistication of a roofing company. A dedicated salesforce can be the difference between a functioning business, and a thriving one. By constantly creating bids and following up on leads, sales people help generate new work, but there’s always a better way for them to get their work done. Enter drones. Aside from the obvious implication that more jobs done equal a faster return on investment, drone roof inspections increase efficiency along with the influx of work ushered in by salespeople. A fail-safe indicator that your roofing business stands to gain from drone technology, is the volume of work it undertakes each year. The all-important question for roofers is how can we get more work done better and faster? For bigger companies that shoulder a heavier workload, drones are the answer. Drone roof inspections provide a way to get estimates quicker, giving roofers more time to focus on the most important work. Roofing companies that bid on 100s-1000s of jobs per year will recognize more immediate benefits of drones, and will see much faster return on their investment than companies bidding on fewer jobs. Doing work on larger complexes often means measuring and inspecting numerous buildings at once. Any company taking on that magnitude of work would benefit from a drone platform, as it is a swift way to analyze and estimate for multiple buildings in a complex. Drone roof inspections can save them hours, sometimes days of work, resulting in a quicker ROI. A drone platform can create more opportunity for large jobs (some worth over a million dollars), due to the simplicity, consistency, and overall efficiency of the solution. This one is pretty self-explanatory. Utilizing a platform like IMGING™ to complete a drone roof inspection requires CFR 14 Part 107 certification. So, contractors who have already obtained a remote pilot certificate to fly commercially are one step ahead. They will benefit more immediately from a drone platform because they already have experience flying a drone. Roofers that are not yet certified but willing to be, are more likely to recognize the business value of a drone platform; to see it as a tool rather than a toy. How a company sells roofing is really a matter of quality. For a roofing company to benefit from drone technology in their business, they must realize the advantage of helping customers see the value in purchasing an entire roofing system–each layer together. By doing so, they are providing the highest quality possible, and though it may cost a homeowner more in some cases, it will prove far more valuable in the long-run for both the company and the customer. Roofers are typically in high demand after a storm and a drone roof inspection is the quickest, safest, most accurate way to service such a high volume of urgent work. Drones can triple the efficiency of estimators, helping them get more bids out the door. The high-quality imagery and automated damage detection of a drone roof inspection make it easier for roofing companies to help homeowners with damage claims. They pass this information on to insurance adjusters, who often settle the claim based on the detailed data provided. At no cost to the homeowner, the roofer gets another job and the insurance company can quickly take care of the policyholder. Not to mention the potential leads generated by storm work. If a neighbor sparks interest and is needing their own damages assessed, the contractor could scan their roof with little to no extra effort. For roofing companies that share these common traits, a drone solution can be an innovative asset that stimulates business, improves efficiency, generates significant ROI and gives the company a competitive edge in the industry. If drones are the right solution for your business, learn more about your drone solution options here. 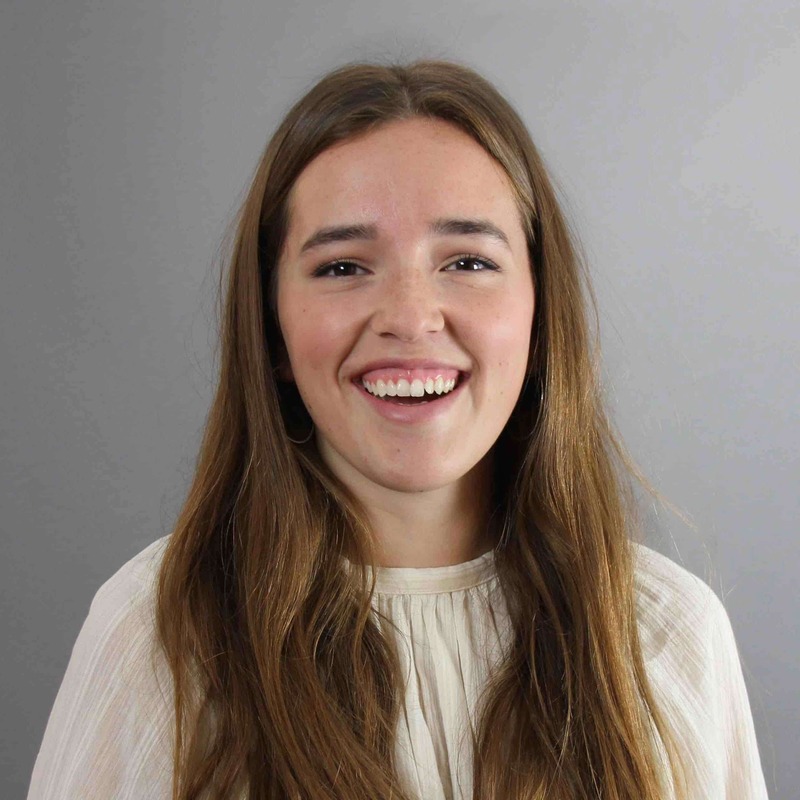 Madeline McBeth is a Freelance Writer for Loveland Innovations and a student at Utah Valley University. She is a content writer by trade and a storyteller at heart. Her passion is constructing unique, effective narratives by blending strategy with distinct style. She is a lover of all things outdoors, an aspiring actress, a musician, a film enthusiast, a beach bum, and a firm believer in the comforting power of a great burger and fries.